Registration for our 2019 tournament opens Monday, March 11! Click here to register your team. 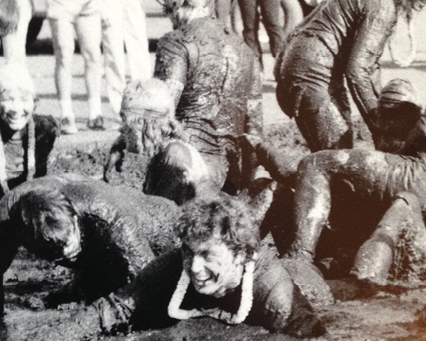 Our 36th Anniversary OOzeball Tournament is Saturday, April 27, 2019 from 9 a.m. – 5 p.m. The theme is Mudvengers: OOzegame! 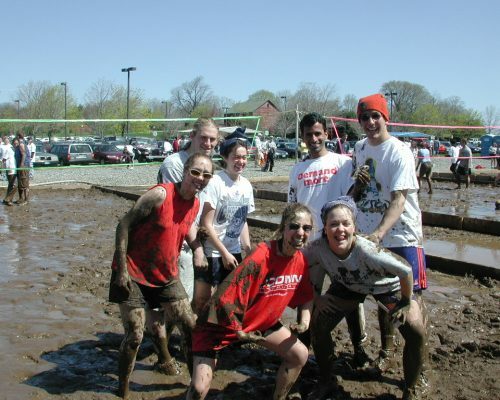 OOzeball is a single-elimination volleyball tournament played in several inches of glorious mud! 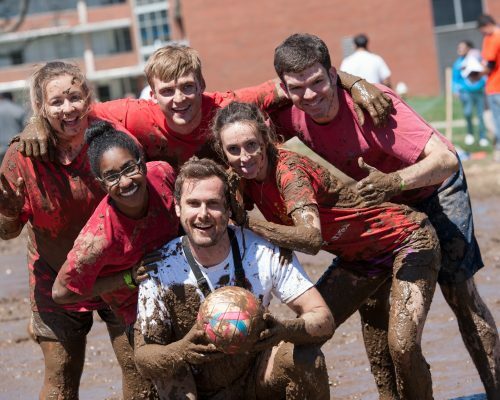 It is one of the most popular events held on campus, hosting up to 400 teams and drawing over 3,000 students and spectators. 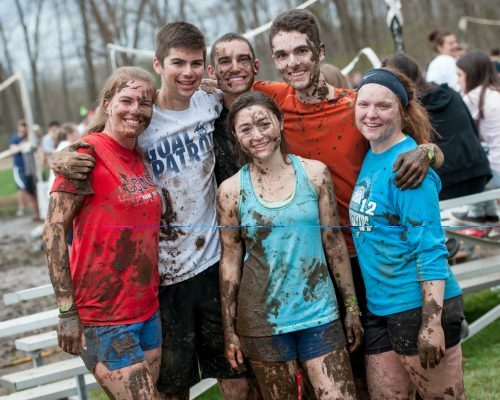 Monday, March 11, 2019: Registration opens at 9 a.m.
Sunday, April 14, 2019: Your team must have at least 6 players (that meet the gender requirement) registered in IM Leagues by 11:59 p.m.
Saturday, April 27, 2019: OOZEBALL starts at 9 a.m.! 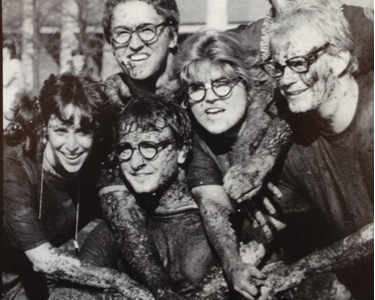 I’ve played OOzeball before. What’s new for 2019? December 2018 Grads & Alumni: You can play! Students who graduated from UConn in December 2018 and alumni are eligible to participate as long as they are part of a UConn student, staff, or faculty team and also meet the other eligibility rules. You will need to bring a photo ID. 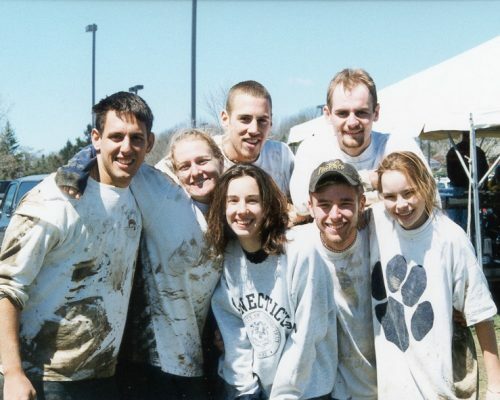 Participation in the OOzeball Tournament does not provide December graduates or alumni with access to other UConn Spring Weekend events; you will not receive a Spring Weekend wristband. You will still need your UConn NetID to complete your registration in IMLeagues. Faculty & Staff: You can play! 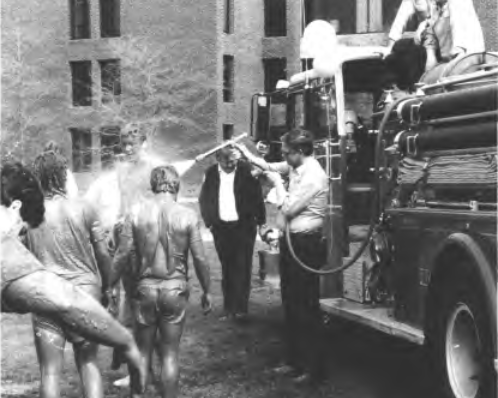 Get your department involved as a faculty/staff team or as part of a student team. For teams that are exclusively faculty and staff, we’ll have a special bracket for you to participate in that won’t take up too much of your Saturday. The winner of the faculty/staff bracket will become our All-Star team and will play against a team of student leaders in our All-Star Game in the early afternoon. Then, you’ll be free to enjoy watching other teams play or to head on out. Faculty and staff will need a photo ID and will still need a UConn NetID to complete your registration in IMLeagues. If you are part of a student team, your team will be placed in the general bracket and your game time could be any time that day. Costume Contest: We have a super exciting theme planned for this year (TBA), and we’ll have a costume contest WITH PRIZES on site at the tournament! Registration opens Monday, March 11, 2019 at 9 a.m. and closing on Friday, April 12, 2019 at 11:59 p.m. (or sooner if it fills up!). You will need a team captain, team name, and credit card to register online. We recommend registering early, as spots are limited and will fill up. 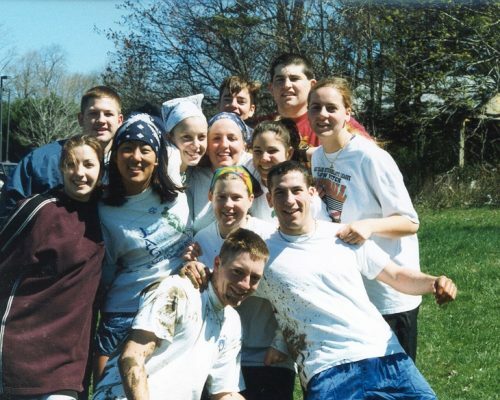 Follow the Student Alumni Association on Facebook and Twitter (@UConnSAA) for updates. The registration link is posted on the main saa.rso.uconn.edu homepage. 1.) 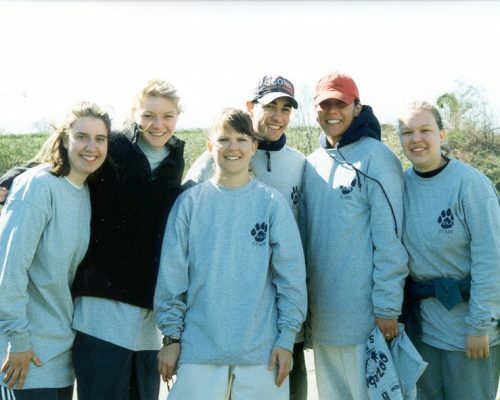 First, you must register and pay for your team with the UConn Student Alumni Association (us!). Once you have done so, you will receive an email directing you to the second step of your team registration. 2.) Second, have every player on your team also register through IMLeagues. The team captain must register the team in IMLeagues within 48 hours of submitting the registration form, or your team may lose its spot in the tournament. Your team must have at least 6 players (that meet the gender requirement) registered in IMLeagues by Sunday, April 21, 2019 at 11:59 p.m. Game times, results, and waivers will only be available through IMLeagues. 3.) Third, make sure to send a team rep to the Captain’s Meeting on Tuesday, April 23, 2019 at 7PM in Philip E. Austin 108. 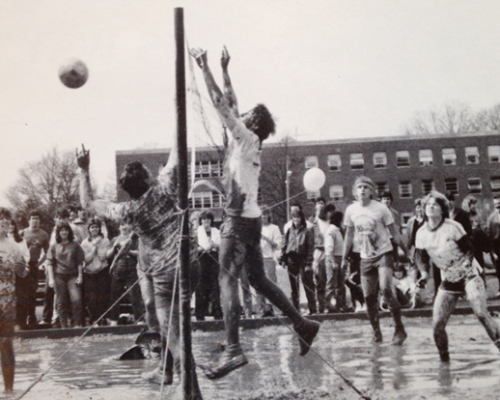 Any current UConn student with a valid UConn NetID and UConn Student ID is encouraged to play OOzeball. UConn staff and faculty are also welcome to play. Each team must have 6-8 players, with at least 2 players who identify as male and at least 2 players who identify as female on the court at all times. Students who graduated from UConn in December 2018 and alumni are eligible to participate as long as they are part of a UConn student, staff, or faculty team and also meet the other eligibility rules. They will need to provide a government-issued photo ID at the event. 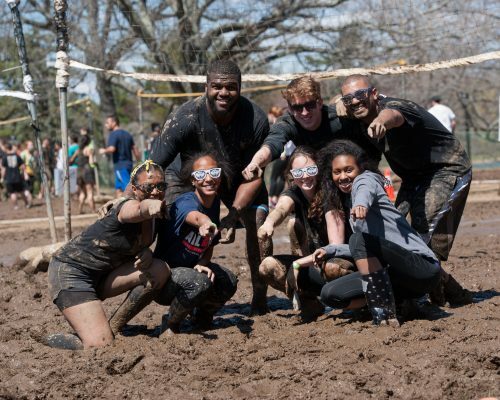 Participation in the OOzeball Tournament does not provide December graduates or alumni with access to other UConn Spring Weekend events; you will not receive a Spring Weekend wristband. You will still need your UConn NetID to complete your registration in IMLeagues. All players must be 18+ years of age. No exceptions. How can I pay for OOzeball? You must have a credit card/debit card to register online. If you are unable to pay by credit card, please contact Aakash Parikh at UConnSAA@gmail.com or call Jessica Sokol at 860.486.2607. Note that if you choose to pay by cash or check, your spot will not be reserved until your full payment and registration form is received and processed at the Alumni Center (open weekdays from 8 a.m. – 5 p.m.). If you are paying by check, it is asked that only ONE check be submitted for the entire team. Please make checks payable to: UConn Foundation. Why is OOzeball $120 per team? In order to cover all of our expenses for OOzeball, we have to charge a fee. You may have 6, 7, or 8 players for that price, which works out to $15 – $20 per player depending on how many teammates you have. 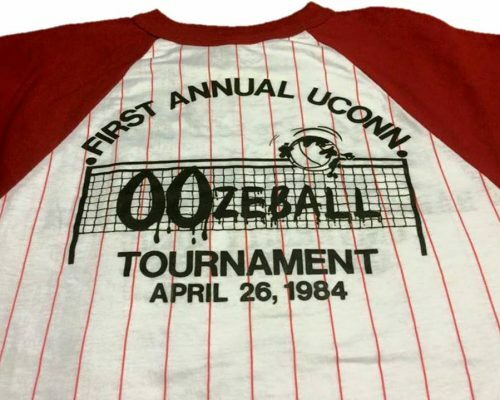 In addition to admittance to the tournament, your fee gets you an official OOzeball T-shirt, free giveaways, and a chance at a tournament Grand Prize, Second Prize, and Third Prize. 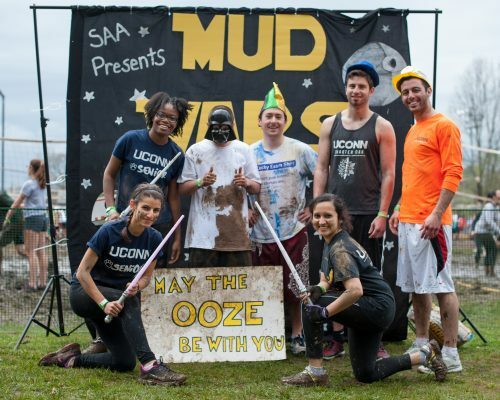 A portion of this year’s OOzeball proceeds will be donated to one of the following UConn Foundation funds: Students First Fund, Fund for UConn, or Campus Sustainability Fund. As they exit the tournament on April 27, 2019, OOzeball players will be able to submit a vote for which of these three accounts should receive those proceeds. At the end of the event, the Student Alumni Association will tally the votes; the fund with the highest number of votes will receive a portion of proceeds, as determined by the Student Alumni Association in its discretion. What are the official rules and regulations? Please click to read the full list of 2019 Rules & Regulations. Why is there a gender requirement for teams? We require that teams have at least 2 players who identify as male and at least 2 players who identify as female. Your team’s gender breakdown will be available within the system to anyone with a UConn NetID that logs into the event (e.g. 3M/4F or 2F/6M). Our goal is to maintain a safe, equitable, and inclusive environment for all participants; if you have questions or concerns, we encourage you to contact Jessica Sokol at jsokol@foundation.uconn.edu or anonymously at 860.486.2607. Once I register, can I make changes to my team? Yes! Once your team is listed in IMLeagues, you may add and drop players until Friday, April 26, 2019 at 11:59 p.m. After that time, team rosters will be locked. Rosters cannot be changed on-site at the event. If you are adding and/or dropping players, please make sure to maintain a minimum of 6 players (including at least 2 who identify as male and at least 2 who identify as female). Why do we also have to register with IMLeagues? The Student Alumni Association is partnering with UConn Recreation and several other organizations to host this event. UConn Rec has implemented an electronic bracketing system that is able to track each team, notify players of their playing times and court number, and structure the tournament as a whole. If each team member does not register on IMLeagues, they will not be able to receive these notifications and UConn Rec will not be able to include your team in the bracket. All waiver forms are also electronically signed in IMLeagues; if a player does not complete this step, they cannot play OOzeball. To easily access your team’s information, please download the REC*IT app. For specific directions on creating or joining a team in IMLeagues, please refer to the users’ guides. How are starting times and court placements determined? Once team registration is complete, teams are randomly assigned start times. Games begin at 9 a.m. and end at 6 p.m. and are assigned at 15 minute intervals. Court placements are determined in the same manner as starting times. We do not accept requests for teams to play each other; teams are assigned randomly. Plan to win! If your team plays well, most of your games will be within the hour of your starting time. If your team plays really well, you’ll be asked to come back in the afternoon for final rounds. If someone on your team can’t commit to the full day, make sure you have 1-2 alternates that fit with any necessary gender requirements. Why are there restrictions on team names? While all of us do enjoy your creativity and would love to be able to accept everything you come up with, this one goes beyond us. 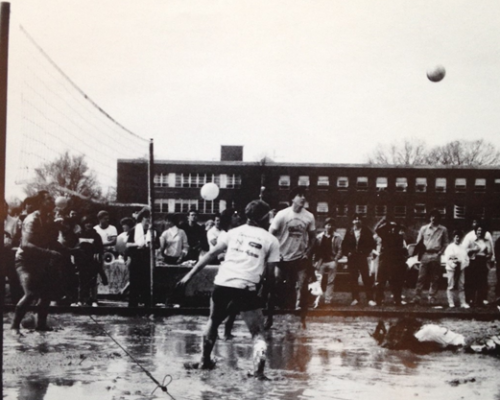 The winner of OOzeball is published not only in the Daily Campus, but also in many other university publications. Therefore, we screen and approve all names before they are placed on the official bracket. You will be informed after registration if your team name needs adjustment, and we apologize in advance for any inconvenience. Also, you will not be allowed to register a team name that has already been chosen. The system will prompt you to choose a new name until one is available. What is the Captain’s Meeting and why is it mandatory? The Captain’s Meeting is a mandatory meeting held the week of the tournament. This year’s meeting will be held on Tuesday, April 23, 2019 at 7PM in Philip E. Austin 108. The captain of each team (or a replacement member) is required to attend this meeting. Please do not send more than one representative or we’ll run out of space. At this meeting we’ll discuss official rules for the day of the event and answer any questions. 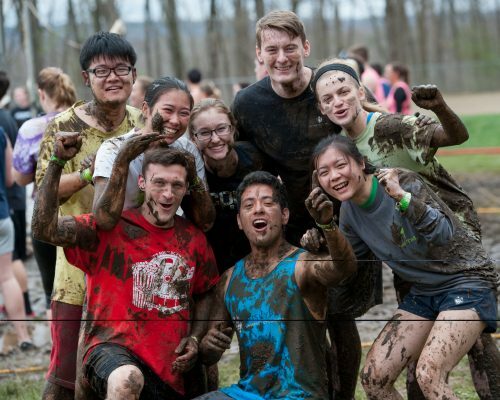 Also, OOzeball is limited to the first 400 teams; if a representative from your team is not at the Captain’s Meeting, your team automatically forfeits and will be replaced by a team on the waiting list. It may seem like a lot of slots, but consider the thousands of undergraduate and graduate students, staff, and faculty that may also want to play. If you have additional questions regarding the Captain’s Meeting, please contact Aakash Parikh. Is lunch offered during the tournament? Lunch is not offered, but we are inviting outside vendors to provide light refreshments on-site. We encourage you to bring snacks and a water bottle, and we’ll have a hydration station set up to refill water bottles. What should I bring/wear to OOzeball? You will need your current UConn student ID, Spring Weekend 2018 wristband, and sneakers. (If you’re a December 2017 or earlier graduate, you will need a photo ID.) You may want to consider bringing a change of clothes, a small towel (for drying off after the mandatory hosing station), and a water bottle. We offer a bag check station and changing areas, and we encourage you to utilize them. We also recommend leaving valuables at home and only bringing what is necessary for admittance into the tournament. 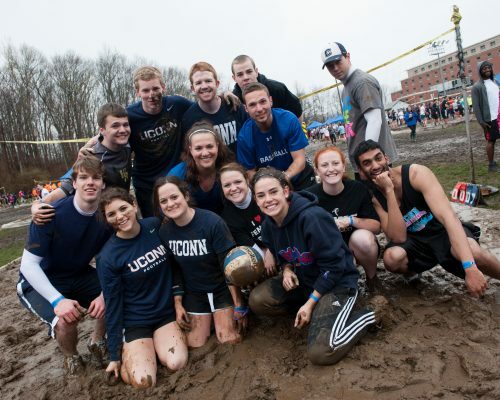 Spring Weekend Wristbands vs. IDs: To play OOzeball, you need a Spring Weekend wristband AND your UConn Student ID. Why? When you register in IMLeagues, you electronically sign the tournament waiver, and we need your UConn Student ID to verify that you’re the same person who registered. Spring Weekend wristbands will be available at OOzeball if you need one. Do not try and check in your team unless all of your student players have a Spring Weekend wristband AND UConn Student ID. Anyone missing a wristband or ID will not be allowed to play, and no refunds will be given. The only exception will be for December graduates and alumni (see next section). What is the prize for winning OOzeball? The top three teams will receive the Grand Prize, Second Prize, and Third Prize. We will also be randomly handing out spirit prizes to teams and individual players. Who are this year’s official sponsors? This year’s official sponsors are the UConn Student Alumni Association, UConn Office of Alumni Relations, UConn Recreation, and Spring Weekend Committee. Who is responsible for injuries and lost/stolen items? 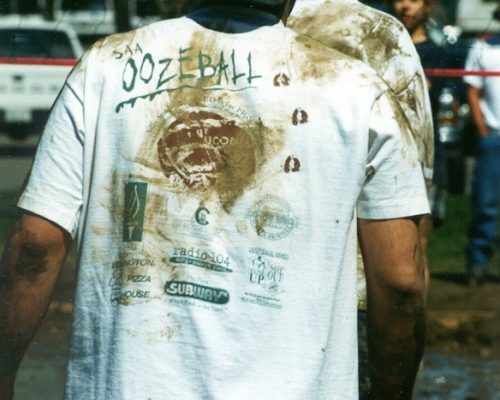 Upon signing your official OOzeball Acknowledgement & Release within IMLeagues, you agree to the fact that the Student Alumni Association, the UConn Foundation, UConn Recreation, and the University of Connecticut are not responsible for any injuries sustained during the OOzeball Tournament. You also agree to the fact that the Student Alumni Association, the UConn Foundation, UConn Recreation, and the University of Connecticut are not responsible for any lost or stolen items. How do I get involved with the planning of OOzeball? 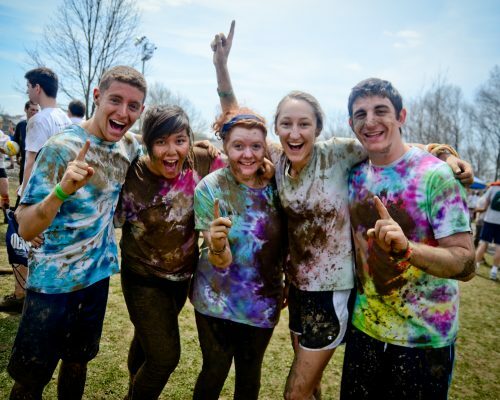 There are several ways to get involved with the planning of OOzeball! 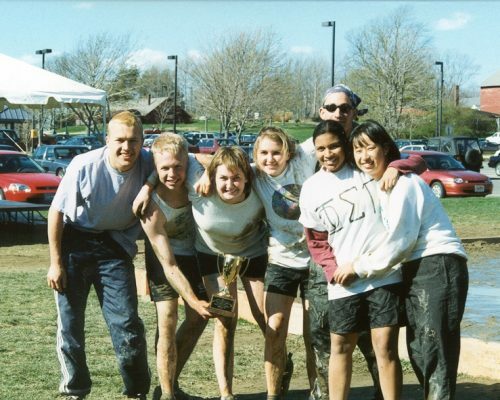 The best way to make sure you’re involved in every aspect of the tournament is to become a member of the Student Alumni Association, as we are the planning committee behind OOzeball. 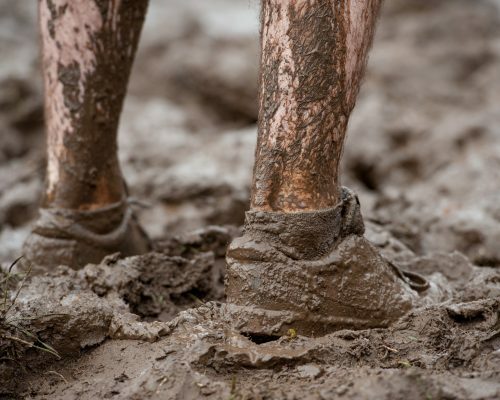 In addition to this, we are looking for volunteers for mud-making on April 26 and the tournament on April 27. 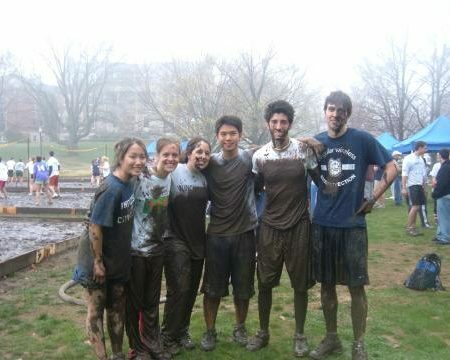 If you need community service hours for an organization, mud-making is an excellent way to earn them while having fun. Please contact Aakash Parikh if you are interested.